Use your local VITA site and get your taxes. Don't let your Earned Income and Child Tax Credits go unclaimed! Your refund can be deposited right into your bank account. Appointments can now be scheduled by dialing 211. 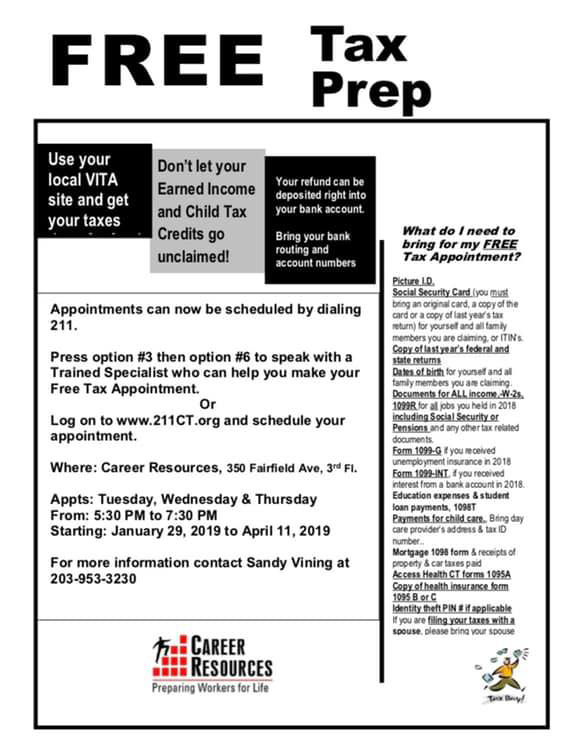 Press option #3 then option #6 to speak with a Trained Specialist who can help you make your Free Tax Appointment, or log on to www.211ct.org and schedule your appointment. For more information contact Sandy Vining at 203-953-3230.